It’s the time of the year when all drinks journalists sigh under the burden of endless emails from drinks PR companies promoting the virtues of their clients’ latest summer cocktails. Some are frankly absurd but others are truly imaginative. We’ve trawled through the Gintime Inbox to find you the best of summer drinking with a particular emphasis on drinks that are easy to make at home and don’t have a long list of oddball/expensive ingredients. Remember too you can adjust these recipe proportions to make pitchers if you have friends coming over. Method: Build in a tall glass filled with cubed ice. Garnish with a slice of apple. Method: Put all the ingredients into a tall glass with a little crushed ice, then bash and stir using the end of a wooden spoon. 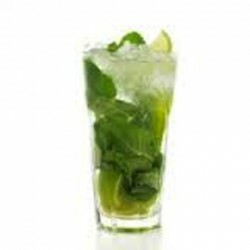 Add more crushed ice and garnish with a large sprig of fresh mint. 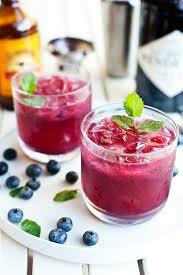 Method: Put blueberries, gin and lemon juice in a shallow bowl. Muddle everything together until the blueberries are crushed. Fill a chilled glass with ice cubes. Strain the blueberry gin mixture over the ice. Pour over the ginger beer, stir and garnish with mint. 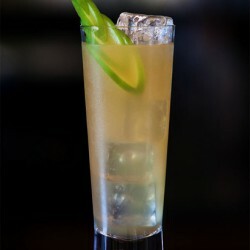 Method: Place the peeled cucumber, mint, coriander and sugar in a cocktail shaker and muddle. Add the lime juice and gin. Fill the shaker halfway with ice and shake vigorously for 1 to 2 minutes. Fill a tall glass with ice. 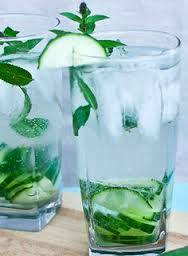 Strain the drink into the glass, top with soda and garnish with a cucumber slice.